Nach 30 Tagen erhalten Sie jeden Monat ein Hörbuch Ihrer Wahl für nur £6.99 . Jederzeit kündbar. 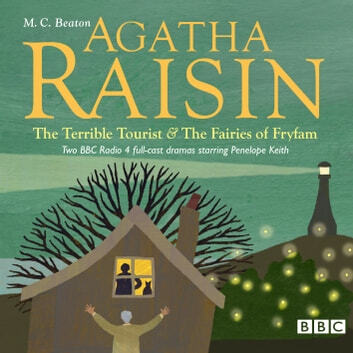 After a lifetime spent in public relations, the drinking and smoking one-woman dynamo that is Agatha Raisin struggles to adapt to life in a quiet Cotswold village. 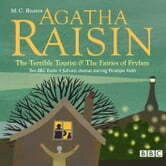 Penelope Keith stars again as Agatha Raisin – Miss Marple with attitude – in these two full-cast dramas based on the bestselling books by M.C. Beaton. In The Terrible Tourist, now that their marriage plans have collapsed, Agatha is furious to find that James is taking a holiday on the island where they were to have their honeymoon. But when she sets out in pursuit of him, she stumbles upon another murder. In The Fairies of Fryfam, having been hurt by James once too often, Agatha takes a trip to the Cornish village of Fryfam and is soon disturbed by some strange lights at the bottom of the garden. ‘If there is one thing better than watching Penelope Keith, it is listening to her’ – Times.